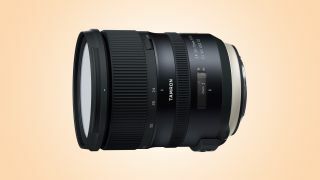 It's a bit of a mouthful, but Tamron has updated its fast 24-70mm zoom lens – meet the SP 24-70mm f/2.8 Di VC USD G2 (Model A032). So what's new? The lens features a new Dual MPU (Micro Processing Unit) that's said to provide rapid autofocusing with improved accuracy. The SP 24-70mm f/2.8 Di VC USD G2 also promises to deliver the highest vibration compensation performance of any lens in its class, at up to five stops. Optically, the use of specialized, high-quality glass materials should see greater color reproduction and improved sharpness, while the application of Tamron’s exclusive nanotechnology-based eBAND coating substantially curbs the ghosting and flare that are prone to occurring in backlit photography. As well as this, the new lens also sports a protective Fluorine Coating, moisture-resistant construction and a locking lens hood. The Tamron SP 24-70mm G2 in Nikon mount will be available in August, with the Canon mount following in September, both priced at $1199. UK and Australian pricing to be confirmed.